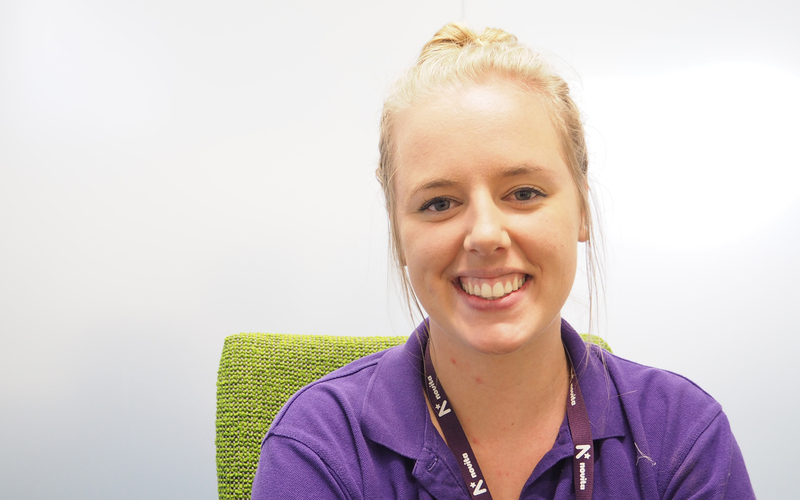 Speech Pathologist Shaidan Philp is a member of the therapy team at Novita’s Murray Bridge hub, and as a local wants to provide the best services possible for her community. Shaidan was the first staff member appointed to the new Murray Bridge hub when it opened in May 2018. “Being the first on board when we opened last May certainly helped me to become very organised,” she said. Shaidan says her role as a Speech Pathologist covers much more than supporting people with their language and communication skills. “Novita takes a multi-disciplinary approach to supporting kids, young people and adults living with disability, so I am able to recommend additional supports and options to families when needed. “The therapy team here at Murray Bridge works closely together to make sure people living with disability in this region get the services they need to achieve their goals.